Most babies love romping in the sand. Toddlers love digging, building and scooping and being able to knock over their own creations. Join us this summer for a multi-sensory experience with BEACH BABIES! 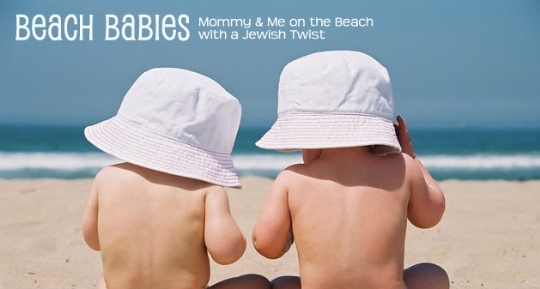 Featuring: song and music, parachute play, bubbles, beach toys, mom to mom socializing all with a Jewish twist! Sign up is requested. Register by clicking here and notifying us of your participation. Important: We will have umbrellas on site to protect the little ones from the hot sun. You may bring your own as well. Please remember to use sunscreen and to bring plenty of water/drink. Don't forget your beach passes ( if you have) !